Flash Point Controls is a multi-facet Technology Company with a focus on catering to the emerging requirements of Fire Security Systems. 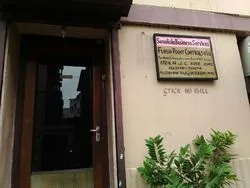 Founded in Kolkata by a group of highly experienced personnel in the field of Fire Security Industry for over a decade (after having served the country’s most reputed & pioneer organization & one of the top ranking in the world – at senior positions of Eastern Region) it has a team of well-qualified, trained & experienced professionals, making it a preferred Turnkey Contractor / System Integrator for Small, Large and Complex Projects. Having acquired the specialized knowledge in this field, ‘Flash Point Controls’ has been formed with a vision to provide not only the Best/Reliable Quality Products but also the Service, which outclass and out-beats most others available in the market! “FireWatch” the hallmark of its quality of products aims at gradually settling into all major Harvest used in its Projects. Incorporated in the year 1996, having over a decade’s experience in the competitive industry, we have gained huge domain expertise in offering Fire Security systems in the country. We offer Fire Alarm systems, Fire Hydrant system, water sprinkler system, high / medium velocity water spray system, first aid fire protection system and gas detection & suppression system. Apart from this, we also provide value added services such as concept & feasibility study, material supply, installation, integration & commissioning and operation & annual maintenance contract. These systems are designed with innovative approach and available in various technical specifications to suit the varied requirements of the clients. Tested on various quality parameters such as efficiency and design, as per the industry standards, our range has carved a niche in the market. Further, we have a well qualified team of service executives, who provide installation and repairing services to our clients. Apart from this, we are also engaged in offering customization as per the specific requirement of the clients. Our installation facility further ensures the smooth functioning of these systems and equipment for longer function ability. Flash Point’s commitment of providing high quality products backed by prompt & Efficient After-Sales-Service has enabled it gain the confidence of some of the distinguished organizations list is attached below. Offering our clients with quality range of fire security and surveillance security systems, we have been able to establish ourselves as a reckoned name in the industry. Our team endeavors provide excellent support to our clients and they have expertise in effectively installing and after sales service of security systems. We have become one of the leading names in industry providing effective solutions to their problems.